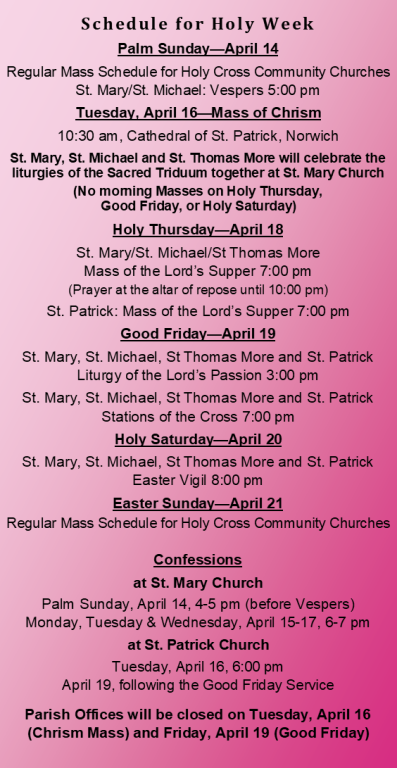 Welcome to St. Mary Church’s website. We have provided this page so that you may learn more about our church and our faith. We hope this website will provide some interesting information about our church. Thank you, and may God bless you in all your daily activities.